You can buy TV spots. Or you can pimp-out luxury porta potties at targeted events where your desired audiences are attending. Your choice. The design and the swag of each event was highly customized to fit the situation. At the Hood-to-Coast beer garden we handed out drawstring bags to keep your hands free. 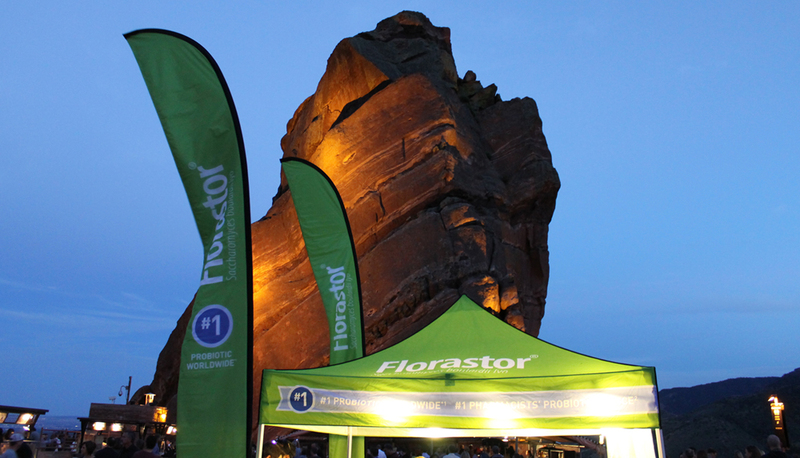 At Red Rocks evening concerts we handed out headlamps and beer coozies. At Chicago Blues Fest we had tank tops and branded green harmonicas. Not only did we get high visibility with our desired audiences, we got data. In order to use these lux bathrooms, users were asked a series of simple questions to help us define what they knew about probiotics and what was important to them. Running water is a great incentive. © 2019 Kat Sampson Sutton All Rights Reserved.